The availability of funds will far outweigh the needs of the community this summer as the Lockhart City Council considers its budget for the coming fiscal year. rt to help continue providing services for the people of the community. Leading the charge was Hays-Caldwell Women’s Center, which requested $11,300 to further their assistance of abused women, children and men in the area. The Center runs a women’s shelter, as well as providing counseling and other services for abuse victims in Lockhart and the surrounding areas. Combined Community Action requested a total of $6,800, the bulk of which will be applied to the Senior Nutrition/Meals on Wheels program. Meals on Wheels currently serves on average 45 meals per day to local seniors who are homebound and in need of healthy meals. Combined Community Action also provides a “homemaker” program, which offers housekeeping services and other daily assistance to the area’s disabled and elderly who “fall through the cracks,” and don’t qualify for services through other programs. Although the organization offers services for free, some receiving services have been able to make donations in the past. ?However, representatives said, those donations have become few and far between. Other organizations requesting funding include: Caldwell County Medic Assist Team, Capital Area Regional Transportation Service, the Hays-Caldwell Council on Alcohol and Drug Abuse, CASA of Central Texas, the Lockhart Area Senior Citizen’s Center and Caldwell County Christian Ministries. Although requests from the organizations topped out at more than $43,000, City of Lockhart Finance Director Jeff Hinson said he expects the total amount available for the contributions will likely be no more than $25,000. In other business, Hinson brought forth a proposal to change the fee structure for City of Lockhart customers who pay utility bills and municipal court costs via credit card. Currently, the City accepts credit cards for utility and municipal court payments in three ways: in person, via the telephone and via the Internet. While there is no additional charge for walk-in customers using credit cards, online customers do pay a $2.50 processing fee for the convenience. Hinson explained credit card payments have become somewhat an issue for the city, because the credit card processing companies charge the city a fee, based on the amounts charged on the cards. He said in the past, the city has budgeted for those fees, but recently several larger accounts have begun paying their utility bills via credit card, driving those processing fees from the expected $23,000 per year up to nearly $60,000. His idea, he said, was to instate a percentage-based charge for credit card customers, which would cause those customers, instead of the taxpayers at large, to defray the credit card processing fees. After discussion about how the fees would be structured, the council voted to charge a 2 percent processing fee for credit card transactions. That fee should go into effect in October, in conjunction with the start of the new fiscal year. The council heard a presentation from Economic Development Director Sandra Mauldin regarding the current state of businesses opening and closing in Lockhart. They briefly discussed a proposal brought forth last month by Councilmember and mayoral candidate Richard Banks to eliminate the position of EMS Director in the coming budget year. Banks said that while he was attempting to save taxpayer money in eliminating the position, he realized after reviewing documentation provided by City Manager Vance Rodgers that the position is necessary, and he recanted his desire to eliminate the position. The council received “working copies” of the 2011-2012 Fiscal Year budget, which they will begin reviewing line-by-line later this month. 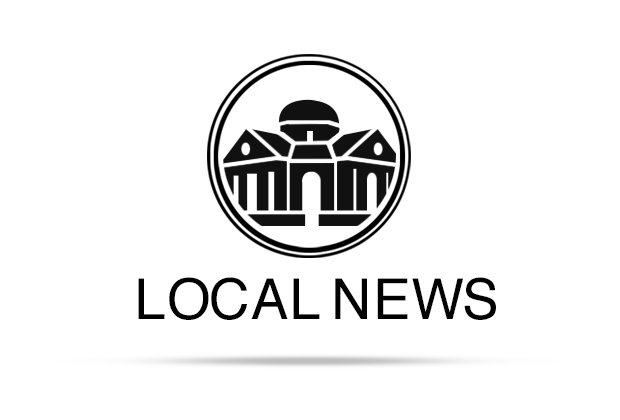 The Lockhart City Council routinely meets on the first and third Tuesday of each month at 7:30 p.m. in the Glosserman Conference Room of Lockhart City Hall. The meetings are open to the public and televised on Time Warner Cable Channel 10. To discuss these or other actions taken by the Lockhart City Council, join the online community at www.post-register.com.